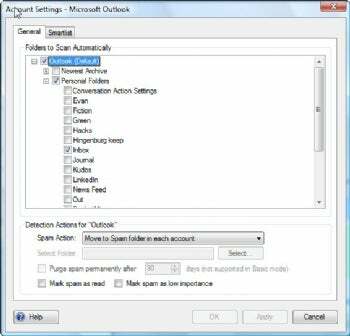 Cloudmark DesktopOne does a better job of finding spam than does Outlook's built-in spam filter. The free version of Cloudmark DesktopOne will check for spam on a single folder only, such as your inbox. If you want the software to check more folders, and if you would like other features--such as the ability to manually scan a folder--you can upgrade to the Pro version by paying $20 per year.